Her name is Buffy Ford-Stewart, the widow of The Kingston Trio original group member John Stewart. He called her Angel Rain. For John Stewart, who died in San Diego in 2008, she was the muse for one of the great American singer-songwriters of the last 50 years. Without her, he may never have written the body of work ranging from Daydream Believer, Mother Country, and California Bloodlines. 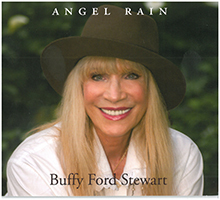 A long awaited album by Buffy Ford Stewart featuring many original songs, along with several by her legendary husband, John Stewart and a song by her late and dear friend Rusty Evans. Once Upon a time is an album filled with nostalgia, romance and love. 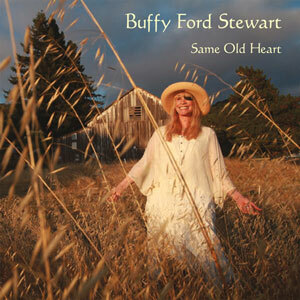 Buffy Ford Stewart returns with 5 new songs. Her latest EP Angel Rain is like a breathe of fresh air. Angel Rain is 5 new songs of hope optimism for the world. Buffy's voice soars on these 5 new Americana songs. 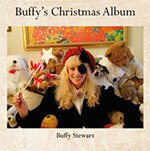 Buffy Christmas CD is a wonderful collection of your favorite Christmas Classics. Plus a few surprises including the wonderful Christmas song Marys Baby written and performed by John Stewart. 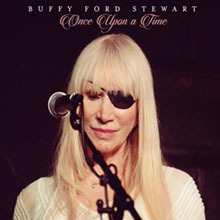 Buffy's Husband John Stewart produced this Christmas record and also performs on the CD with her. Revel in the Christmas Spirit with the Stewart's on this wonderful release. Guest vocalists:- Davy Jones (thought to be his last ever recording before his passing on 29th Feb. 2012). Timothy B Schmit (The Eagles), Rosanne Cash, Kris Kristofferson, Craig Caffall, Dan Hicks, Eliza Gilkyson, Bill Mumy, Peter Tork, Nanci Griffith, Maura and Pete Kennedy, Chuck McDermott and Shana Morrison. Her name is Buffy Ford-Stewart, the widow of The Kingston Trio original group member John Stewart. He called her Angel Rain. For John Stewart, who died in San Diego in 2008, she was the muse for one of the great American singer-songwriters of the last 50 years. Without her, he may never have written the body of work ranging from &quot;Daydream Believer,&quot; &quot;Mother Country,&quot; and &quot;California Bloodlines&quot; to the latter day &quot;Jasmine.&quot; As one of the founders of Americana music, she inspired John's lyrical, authentic, poetic, and visionary body of work. She was his all-time woman, the one who believed in him, the keeper of the flame lit by the treasury of songs authored by poet, artist, writer, dreamer, storyteller, and magic man.